Welcome to the Dutch Network April 2019 Newsletter! 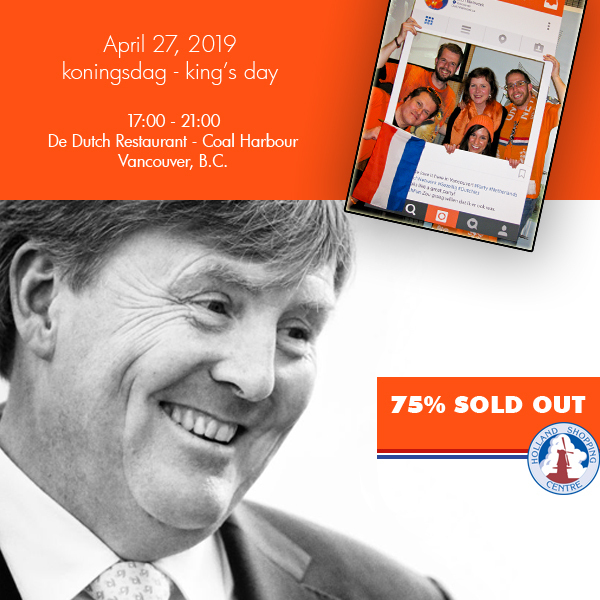 April 27, 17:00– 21:00– Koningsday / Kings Day at De Dutch is 75% SOLD OUT! We have a charming story about life in Canada titled "Going Camping" from our regular contributor Francoise van Buytenen. 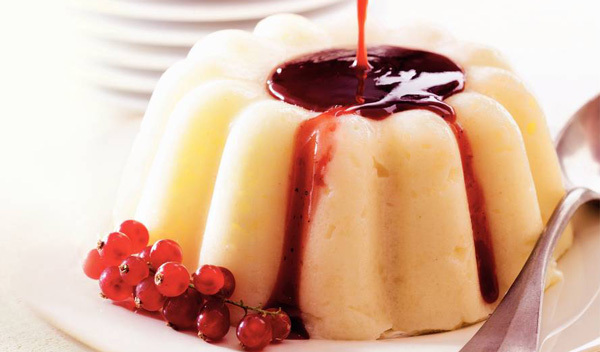 Our featured recipe this month is another tasty treat, "Griesmeelpudding". Also in this edition: A Dutch 'Koffie Club' in Nanaimo, Pub Night dates, Klaverjas Club dates, NEW Classifieds, and much more. Be sure to buy your Koningsdag ticket soon! They are running out and you don't want to miss this great annual event. Koningsdag is the most popular event of the year in our community and tickets are already 75% sold. Make sure you get your tickets as soon as possible. Op = Op! Our Dutch Remembrance Day is approaching. May 4th is upon us very soon. Like previous years, the Consulate General of the Netherlands will be hosting an official event at the BC Regiment Drill Hall at 620 Beatty Street in Vancouver. Official ceremonies will take place from 14:00 – 15:00 on May 4th. Because it is on a Saturday this year, we hope for a large crowed to attend. Former Solicitor General and Minister of State for B.C. Mr. John van Dongen will be the Master of Ceremony. Consul General of the Kingdom of the Netherlands Mr. Henk Snoeken will address the public and there will be music, songs and poems by choirs, students and official dignitaries. Please save the date and visit this event on May 4th. This summer we are going to camp on Vancouver Island. A couple of nights at Rathtrevor Beach Provincial Park, some nights at Pacific Rim National Park, three nights at Gordon Provincial Park and some nights at Ucluelet. I am not going to share with you details about our trip or discuss these places; that is not the interesting part of this holiday. My story is all about the booking of these campsites. The fact that we are actually going to camp at these campgrounds is quite miraculous. If you have booked a campground site on the Island or at any National or Provincial Park in British Columbia, you will probably understand why. I started planning for our holiday with a map of Vancouver Island and an empty excel spreadsheet. I looked up campground locations and planned our trip logically and geographically. I filled out the spreadsheet with column headings including: campground names, camping dates, distance in kilometres between each destination, and campground site number. However, the greatest challenge, and I spent hours, was trying to decide which camping spot would suit us best. Shall the camping site be near toilets but not too close, as I do not want to watch everyone walk by with a toilet roll pressed under their armpit; near the playground (but not next to it) so I can stay ‘home’ and read a book; only a site with privacy level indicated as ‘good’; and last but not least, the spot needs to feel good. So, after examining approximately all 174 spaces per campground, I secured the campground site number on the excel spreadsheet in the column titled “desired campground site”. The next step in my planning was to actually book the campground sites using a website. First, I tried Pacific Rim National Park campground. Hmm… strangely I am unable to book. Am I too late? No. I am too early. I ask around for advice and an insider tells me: National Park campground sites need to be booked exactly five months prior to your arrival date at exactly 08.00 o’clock in the morning. Provincial Park campgrounds need to be booked exactly four months prior to your arrival date at exactly 07.00 o’clock. Huh, but it is 2019?! Yes. I was reminded of the day we wanted to arrange our ski passes at a ski resort for the next day. ‘That is impossible, please come back tomorrow’ the hostess replied. Huh, but it is 2019?! Yes. Is Vancouver maybe the only place on earth that got hit by the millennium bug? So, as I have four campgrounds to book, I add another column to my spreadsheet and title it 'Date and time for booking' and I also record those dates in my personal agenda to help me remember when I need to book. On February 1st, I find myself behind my laptop waiting for the website to open; and off it goes! It’s 08:00 o’clock sharp. I see five green (available) sites of the total 86 sites. It occurs to me that this is a holiday weekend. Before I know it, all five sites are red (booked). It leaves me nothing but to reschedule our holiday. I swap two campgrounds around and three days later, I find myself at my desk again at 08:00 o’clock sharp and almost the same thing happens. I open the online website, see three green sites are available, and in seconds they are gone. I quickly change the date to one night and “yes”, I am able to book one site for one night. The next day, I follow the very same process: same time, same camp site, again one night. It will take me forever to book my whole trip this way! Next one is a provincial park. Again, it’s a holiday weekend. I know what to do, I am ready and off I go! Oh no, I forgot to sign in first! All gone… Quickly, I try to login to another campground website and I manage to book an RV site. Well, it is okay, the site is huge, and we have only a tent. Someone asked me that same day, if I checked the surface of the RV site. Huh? Oh No. I now know why I should have checked; it’s asphalt. This week, I learned the reason for this weird campground booking system that made me surprisingly happy. Apparently, a couple of (foreign) travel agencies pre-booked all the available campground spaces for the entire season (and I presume they made a lot of money); leaving no room for Canadians to go camping in their own country. But ah-ha, I have a solution, if a campground should be full, there is a no-fuss, easy alternative, and always possible; a back-country camping experience! No booking required, and always ample space, between the grizzlies, brown bears and cougars. Just in case! Location: 1099 Sitka Square, Vancouver (close to Unit No. 1101 Lamey's Mill Road). Drs Jurian ter Horst, historian, will present a lecture entitled "Beelden van Rome uit nederlandse reisverslagen tussen 1859 en 1871". The 18th century saw an increased interest in travel and travel accounts. The writers of these travelogues targeted a specific audience, depending on their political or religious views. With their descriptions they intended to convince people of what they believed was the right view. The lecture will be in Dutch and is free. After that a membership is available. The Easter Egg Hunt organized by the Dutch school De Esdoorn on Saturday, April 13 from 12:30pm to 2pm in Vancouver. From 12:30pm to 2pm, Easter crafts and games are organized for the children and their families which will be followed by a traditional Easter Egg hunt. Family Koningdag 2019 organized by De Esdoorn and co-sponsored by the Dutch Network in Vancouver on Saturday, April 27 from noon to 2pm. Koningsdagspelen, vrijmarkt, Dutch food, crafts and games will be organized for the children and their families. We had lots of fun last year. It is time to give a try for some traditional dessert and cooking from the Netherlands. Bring the milk to a slow boil, add the lemon peel and the sugar and stir until the sugar has dissolved. Add in the grits, bring back to a boil but keep stirring to prevent the milk from burning. Lower the heat and cook for about six to seven minutes or until the grits are gorged, but stir every so often to make sure the bottom doesn't burn. Stir in the vanilla. Rinse the pudding form with cold water and, after removing the lemon peel, pour the grits into the form. Set it in the fridge to cool. It will take a good five hour to set: even better if you can leave it overnight. When you're ready to serve dessert, add the contents of the cranberry sauce or the berry jam to a small saucepan, add the apple juice or water to thin the sauce and the cinnamon stick. Stir well, bring to a boil, then simmer for a good twenty minutes. Thicken with cornstarch if needed. I decided to put my sauce through a sieve in order to remove all the raspberry seeds, but that's purely a personal preference. Pour some warm water over the outside of the pudding form, lightly loosen the sides of the pudding and invert the whole thing onto a plate. Pour the thick berry sauce on top and on the sides, and enjoy! Join us and meet your local Dutch community over a drink and a conversation in Dutch. Our Pub Nights take place twice a month and are a great opportunity to get in touch with other Dutch people in your area. All you have to do for this free event is show up, order your drink, and take a seat with the rest of the group. Everyone is always happy to meet new people. 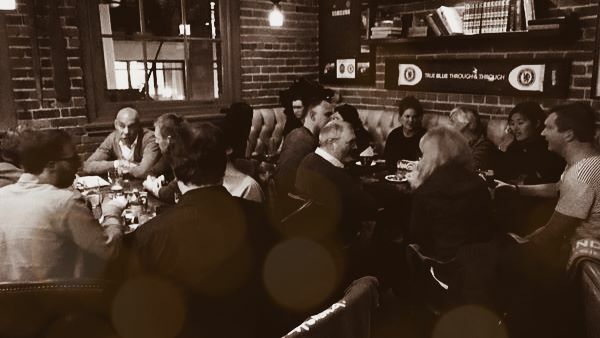 Our Langley Pub Night takes place every first Wednesday of the month, while our Vancouver Pub Night takes place on the third Wednesday of the month. If you have any questions regarding Pub Nights, please contact us at info@dutchnetwork.ca. Are you interested in sponsoring Dutch Network? Please send an email to: info@dutchnetwork.ca. Klaverjas Club in North Surrey meets on Wednesday, April 24, 2019. The Dutch North Surrey Klaverjas Club meets once a month at St. Matthews Roman Catholic Church, 16079-88th Avenue, Surrey, BC, in the Fire Site Room. (Click here for map.) The cost is $5 per person per month, and includes coffee, tea, cookies and snacks. Gerard Jansen, Card Club Organizer, at 604-930-2762 or gajansen@shaw.ca. The future club meeting dates are as follow: May 22 and June 26, 2019. For people coming from the Port Mann Bridge, do not take exit 152nd Avenue but go to the 160th Street exit. Follow 160th Street to 88th Avenue and turn left; the church is on the left side, 50 meters from the corner. For people coming from Langley or South Surrey, take Fraser Highway until 160th Avenue. Turn north for one block to 88th Avenue, then turn right. The Vancouver Koffie Club meets weekly, every Thursday from 10 am to 12 pm. The address is 1099 Sitka Square (close to Unit #1101 Lamey’s Mill Road) in Vancouver, in the Social Suite. Please telephone Bill or Marion Stroet for further information at 604-738-4391. A new Dutch 'Koffie' Club in Nanaimo! A new Dutch coffee club is starting up in Nanaimo. We'll be meeting every first Friday of the month, from 10:30 am to 12 noon, at the Quality Foods coffee shop on Turner Road in Nanaimo. Wij beginnen een gloednieuwe hollandse koffie club die iedere eerste vrijdag van de maand bijeenkomt. Vrijdagmorgen 1 maart a.s. hebben we onze eerste ontmoeting in de coffee shop van de Turner Road Quality Foods in Nanaimo. We hopen van harte veel nieuwe mensen te ontmoeten voor een bakje koffie en een babbeltje. The Dutch Liberation 2020 Canadian Society is a group of volunteers that has got together to assist and promote the commemoration in B.C. next year of the 75th anniversary of the Liberation of The Netherlands by Allied forces, a large part of whom were Canadian soldiers, sailors and airmen. As part of its aim to raise awareness of the Liberation, the Society hopes to spread the word about a very worthwhile project in The Netherlands called “Faces to Graves”. It is not specifically related to the 75th anniversary commemoration, but it holds the promise of strengthenng the already powerful bonds that the Liberation created between the people of The Netherlands and Canada. The project, which goes back to 2014, was the initiative of three members of the Royal Canadian Legion, Dutch Branch 005 – Liberation of The Netherlands. The mission of this branch is to play an active role in ceremonies at Canadian and allied military cemeteries and at ceremonies where fallen soldiers from the Second World War are commemorated. The three members conceived and developed a project to create a virtual memorial to the members of the Canadian Armed Forces who are buried at the Groesbeek Canadian War Cemetery in The Netherlands. There are 2590 names on the headstones and 1029 names of missing soldiers on the Memorial Wall. The aim is to create an online collection of personal documentation for as many as possible of the fallen who lie in this cemetery. Every one of them, it is hoped, will be recognized by a photo and a story of their life, so they will never be forgotten. To do this, the Faces to Graves Project needs to reach as many as possible of the relatives, in Canada and elsewhere, of the Canadian Forces members who are interred at Groesbeek. We hope that members of the Dutch community here in Vancouver can help to spread awareness of this project by bringing it to the attention of everyone who may be related to a member of the Canadian Forces who died in the battles of the Liberation 75 years ago and is buried in the War Cemetery. They are invited to contribute photos and other personal history to the virtual memorial, and so enhance what we, and later generations, know about their relative and the thousands of other Canadians who lie at Groesbeek. The Faces to Graves Website, at www.facestograves.nl, tells te story of the project and gives the details of how to contribute to this far-reaching endeavour to assemble the thousands of individual stories behind those who gave their lives for the Liberation of The Netherlands. Newsletter and Facebook Volunteers Wanted! We are looking for volunteers to help with maintaining our social media platforms and the newsletter. Do you like to read Dutch news? Why not post it on our Facebook page and keep your fellow Dutchies up to date? Send us an email if you are interested in joining the Dutch Network Board. We are looking for Board members who are interested in taking a lead in organizing Dutch events and/or just participating on the Board with your thoughts and ideas to promote Dutch culture in Vancouver. The Dutch Liberation 2020 Canadian Society is an association organizing events to honour and remember the 1945 liberation of The Netherlands by the Canadians in 2020. To create awareness of all the upcoming events, the association is in need of a volunteer with a strong communications background. This person knows how to build a good communications campaign and already has established contacts with media outlets across Canada, especially British Columbia. As Communications Director, you will send out media releases, setup interviews, oversee a social media strategy, assist in developing marketing communications materials and try to setup segments with TV and radio stations. You do not have to be Dutch to fulfill this role or to be part of this society! Any and all help is very much appreciated. Please contact us at info@dutchnetwork.ca until the Society’s new website is up and running. Thank you in advance. Large collection of Dutch books and Dutch LPs in Nanaimo. Free, except where noted. Call Laura Kristiansen at 250-755-1133. PLACE A CLASSIFIED! If you would like to sell your Dutch books, find a lost relative or promote your AirBnB to the Dutch community, our newsletter is a strong vehicle to get the word out. This is for you, by you! Cost is $10 per ad per month, which goes directly into supporting the events we organize for the Dutch community. We do not accept Commercial businesses. Copyright © 2019 Dutch Network, All rights reserved.